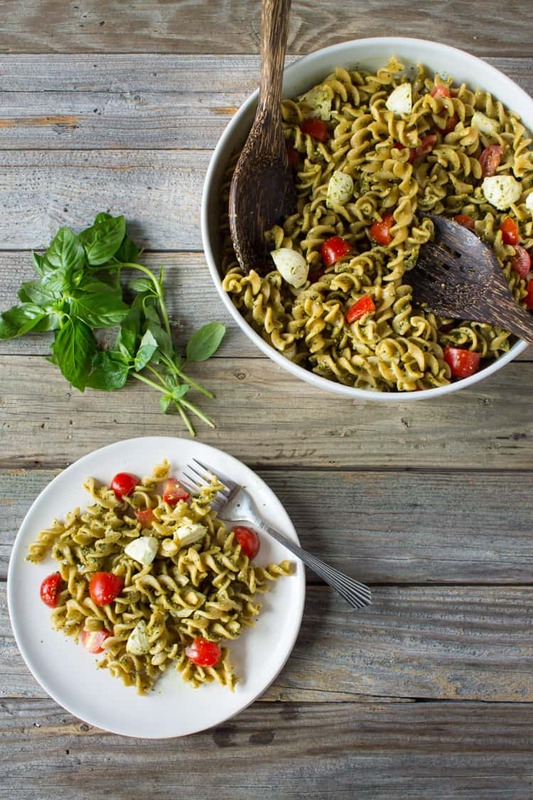 Look no further for a delicious healthier pasta salad – this caprese pasta salad with hemp pesto is packed with fiber, protein and omega-3s! Who doesn’t love a summer barbecue? 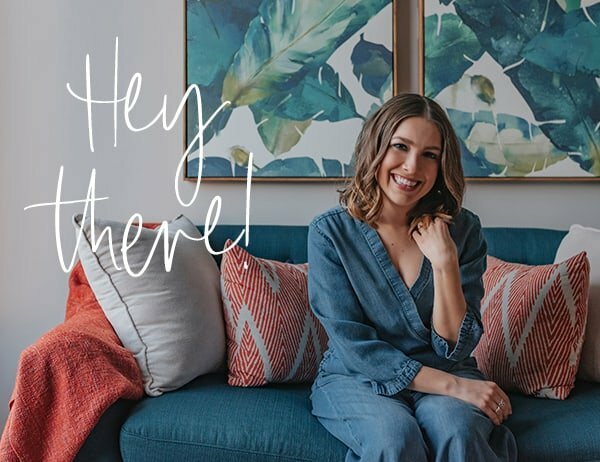 It’s finally time to open up the grill, the pool, and invite your family and friends over for some summertime eating, drinking, and be merrying. 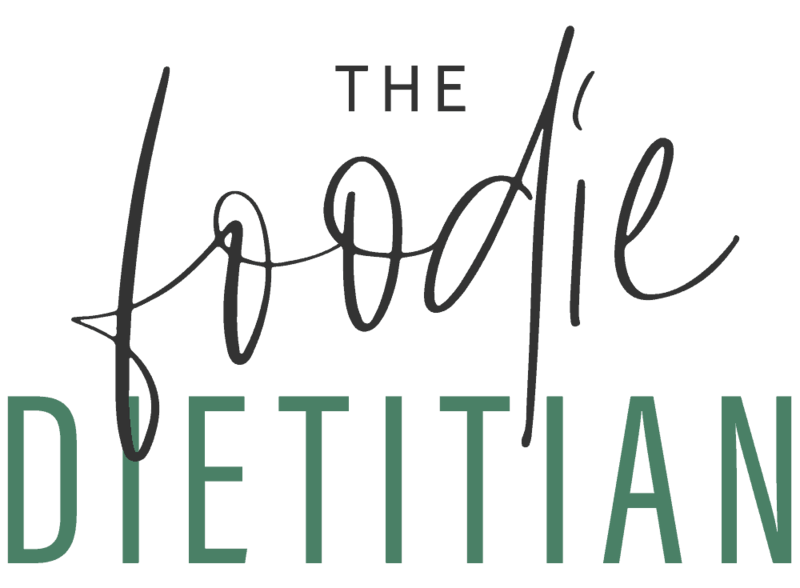 Barbecue foods can get a bad rep though, especially when you think about greasy burgers, dogs made with who knows what fillers, and mayonnaise saturated potato and pasta salads. But barbecues don’t have to be that way! No one says you have to serve up these high calorie, processed foods. 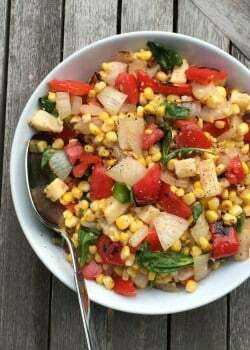 In fact, your guests will probably thank you if you make simple healthy swaps to your barbecue menu. 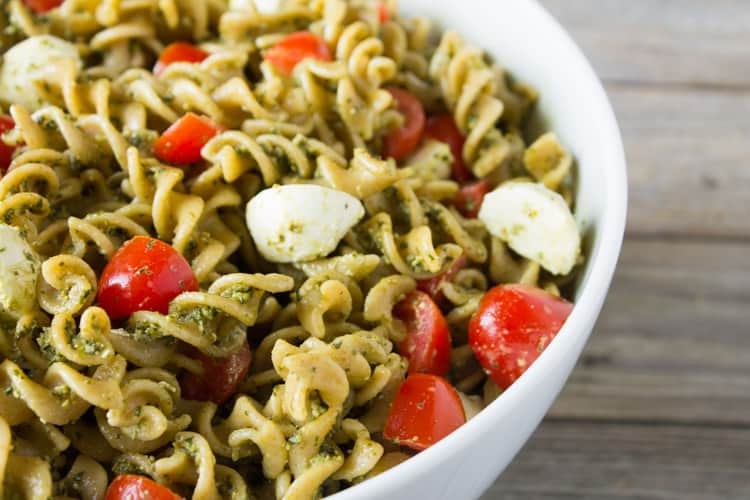 If you’re ready to make a healthier side for your next summer party, start with this caprese pasta salad with hemp pesto. 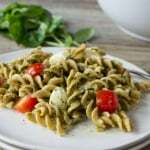 It’s made with fiber-packed whole-wheat pasta for extra staying power, fresh tomatoes, mozzarella, and omega-3-packed hemp pesto. Don’t be intimidated by hemp pesto – it’s as easy to make as any other pesto. 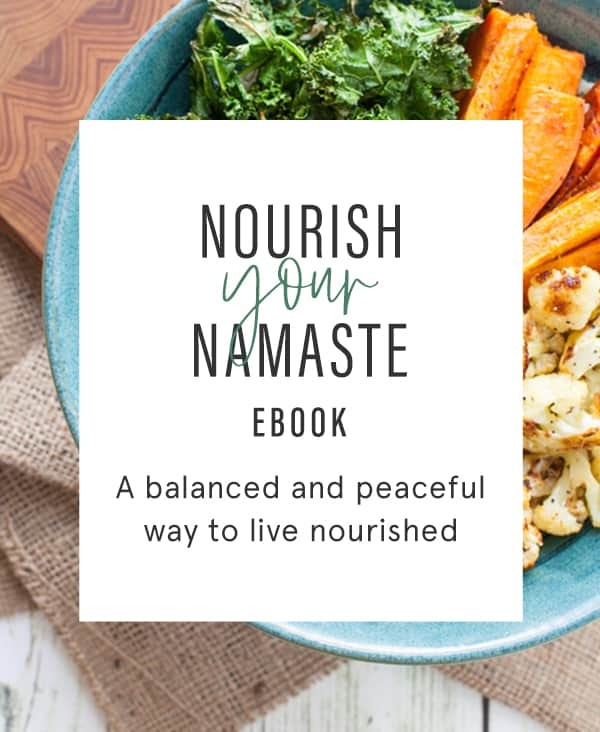 I simply substituted hemp seeds for pine nuts and hemp oil for olive oil, making it a more nutritious pesto that’s packed with more fiber, protein, and omega-3s. I also decided to make this pasta salad caprese-style because I can’t get enough of caprese salads in the summer when tomatoes are at their peak harvest. Plus, it totally beats the pasta salads I grew up with made with meat, cheese, and store-bought Italian dressing. Enjoy these easy barbecue swaps and this simple recipe alllllllll summer longgggg. In a large pot, bring salted water to a boil over high heat. Add pasta and cook for 12-13 minutes or until desired texture. Drain and rinse under cold water. In a food processor, add basil, hemp oil, Parmesan cheese, hemp seeds, lemon zest, garlic, salt and pepper and pulse to combine. 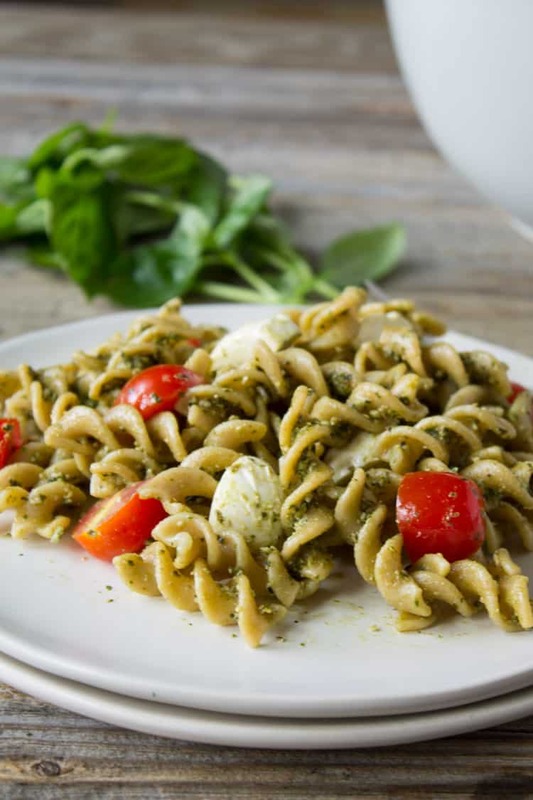 In a large serving bowl, toss pasta with pesto, tomatoes and mozzarella cheese until pesto evenly coats the pasta. Serve at room temperature. OK if it has caprese and pasta in the title I’m making it and intrigued to try hemp seeds more often. Love the idea of trying them in a pesto! 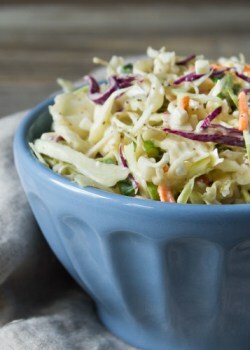 I’m a huge fan of pasta salad, especially when they are actually healthy! This looks beautiful! I’ve made pesto a million ways (I think I have 3 recipes on my blog) but never with hemp seeds- must try it!